I’m sharing with you how to hand letter B in ten ways. This is uppercase B and lowercase b using brush pen lettering. 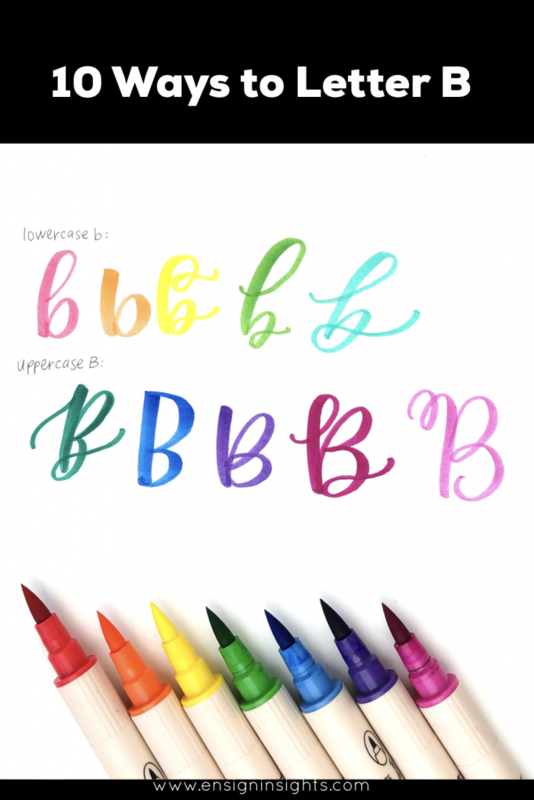 The goal is to help you with your hand lettering alphabet whether you are a hand lettering beginner or a pro. In my own life, I’ve noticed that lettering can give us confidence. However, that confidence won’t come if we believe that there is only one way to letter each letter. You get to create your own lettering style. 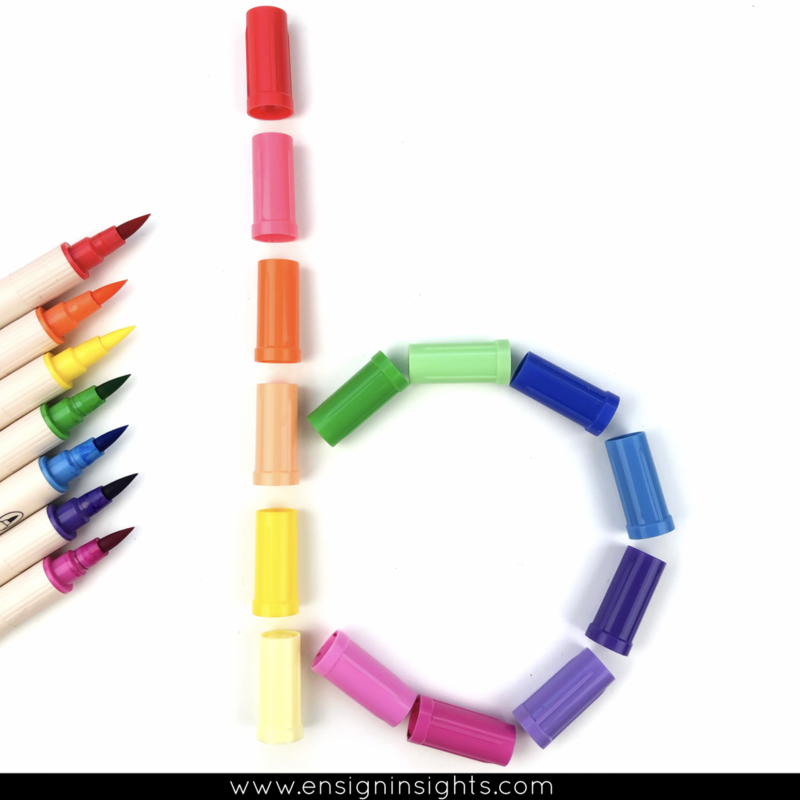 I hope these 10 ways to hand letter B gives you some lettering inspiration. Feel free to practice the letters in this image! The pens used for this post are Kuretake Zig Brushables. In case you don’t know which brush pens to start lettering with, see my post 3 Best Brush Pens for Beginners. In my Insider Scoop (weekly newsletter) I email a free lettering practice each week. Right now I’m sending my 26 Ways to Letter practice sheets. I hope this gives you some brush lettering inspiration to branch out and create your own style. Along with the free practice sheet, I also give a Scoop of Confidence where I share something about confidence in lettering that has been on my mind for the week. Below is the one for letter B.
I recently taught my neighbor’s teenage daughters how to hand letter. Beforehand, one of her daughters wanted to give up because it wasn’t fun. I taught her about the important details of how to hold her pen, where to position the paper, and the strokes of each letter. This showed her all of the varieties of letters you can make. When I started lettering, it was during a time when I needed to be reminded how to be happy. She could relate to this. All of a sudden she realized there is so much more to lettering than just writing words. Now she can’t get enough of lettering! Sometimes we need to look at things in a different perspective including our lettering. Have you been feeling stuck, thinking that it’s not fun, it’s too hard, you’re not growing enough? Reevaluate why you want to letter. I hope I can be the person to nudge you along and encourage you to see that lettering is more than just words. Lettering has done so much for my life and I want nothing more than for you to feel the joy it can bring to your life. I have been teaching local in-person workshops lately and I love seeing what lettering can do for people! Have you ever wanted to take an in-person workshop but it’s too expensive or none are offered near you? I have an online workshop called Hand Lettering for Beginners. The goal is that you will feel like you are learning from me in-person no matter where in the world you live. And I’m keeping the cost really low to make it accessible to as many people as possible. Learn more about the Hand Lettering for Beginners workshop. Do you want to practice your letters with me? Here is my YouTube video with 26 Ways to Letter B. 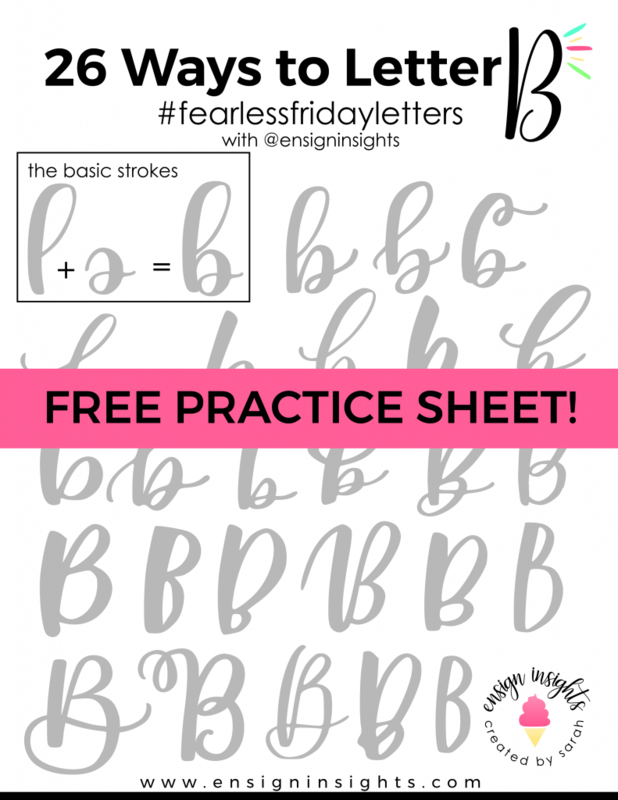 In conclusion, if you liked what you read here and you want to get a free lettering practice sheet each week, sign up for the Insider Scoop!